Do you have a hankering for a great dessert? If so, you’re not alone--and a popular resto is about to set up shop in Mississauga. 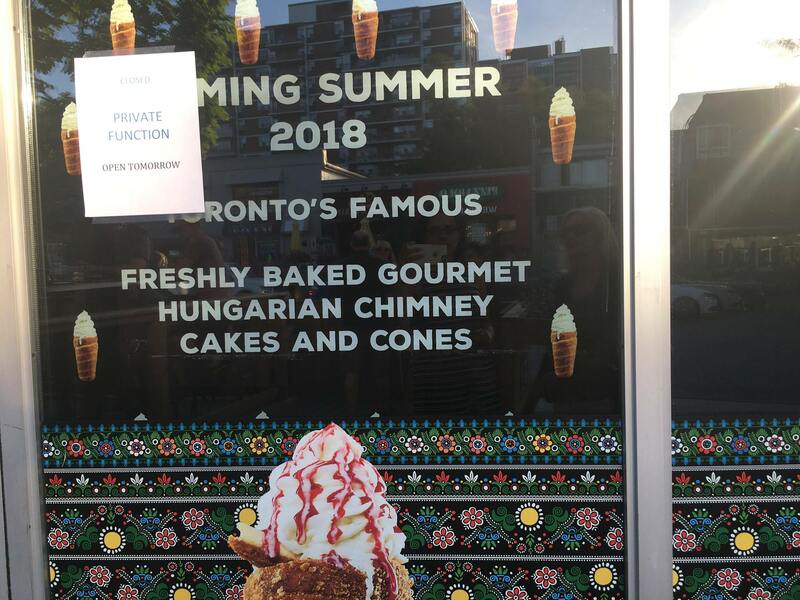 You might be happy to hear that Eva's Original Chimney's, a resto that specializes in European chimney cakes (known as Kurtoskalacs in Hungarian or Trdelnik in Czech), is opening a brand new location in Port Credit tomorrow (Saturday, June 16). The dessert hotspot will be opening right on the main drag, close to Door FiftyFive on Lakeshore Road. “This [location] will have our full menu + some new and exciting treats - stay tuned for more info on opening date and specials!,” the brand wrote on its website. Eva’s, it appears, is doing quite well in Mississauga. A few months ago, it opened a new location in Square One. If you're wondering what a chimney cake is, it's basically an interesting, bread-like freshly baked Hungarian pastry named for its hollow, cylindrical shape. The cakes are typically crunchy on the outside and soft and doughy on the inside. According to the brand's website, its chimney cakes and signature Chimney Cones are made with premium ingredients from scratch by hand each day and are baked (not fried) using a traditional-style open gas rotisserie grill. As far as ingredients go (and interestingly enough, the cones and cakes are available in vegan varieties), diners can fill their cones with soft serve ice cream and top them with salted caramel, chocolate, mango, raspberry, cheesecake, peanuts, nutella and more. If you want to buy a ready-made cone, you can try the maple pecan cinnamon bun cone, the white chocolate raspberry cheesecake cone, the peanut butter pretzel parfait cone and more. The resto also offers a range of coffee and espresso-based beverages, including lattes, flat whites, cortados and affogatos.